Fixing broken touchscreen or replace it entirely? Can I fix my touchscreen without changing the Screen? How does the touchscreen fixing work? Touchscreens are part of the flavors in smartphones like Android. 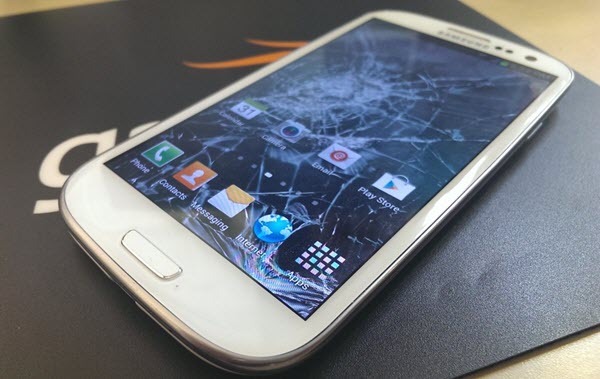 It is obvious that touchscreens are too fragile to shock, hit or pressures on them. For these reasons, one is always advised to buy both glass screen guards and phone pack/pouch. Sometimes ago my phone fell off from my grip and unfortunately hit the tip of its front view on a cemented floor. Though I had a screen guard when it fell but the areas that were not covered by the screen guard had serious scratch – the front camera was affected. In conclusion, screen guards are not just enough to protect your screen from this kind of incidence. Before we conclude which approach (fix or replace) is better, it is good to note that touchscreen architectures vary – i.e how they are structured within the device screen. Touchscreens were used to be separate from earlier phone models when one only has to replace cracked or broken touchscreens very easily. But recently, most smartphone manufacturers have re-engineered how it is used to be. For instance in Samsung, if one’s touchscreen is broken and requires replacement, he/she has only the option of replacing the screen alongside with the touchscreen. What do I mean by replacing the screen alongside with the touchscreen? Yes, we have talked about restructuring and re-engineering, the newer phones have the touchscreen glued onto the screen. It becomes almost difficult to tangle with unlike the earlier phones that require you to only clip the touchscreen very easily. Normally one has to only replace the touchscreen provided that the screen is not affected. But with the new revolution, one has to pay hugely for screen. Screen replacement and cost sometimes is almost half the price of the actual phone. When one considers the cost and the current situation of the phone, one starts thinking of any possible means to get ones phone working. Yes, you can. But there are probabilities that things may go wrong in short time. Professional phone technicians can handle this pretty well but it is not always an affirmation that everything will look and work like before. Some of these technicians use some tool to fixing the touchscreen while others manually fix theirs. There’s always a greater difference between an original and third party manufactured phone parts. The original comes with great quality while the third party products are always strategic to their marketing… Phone manufacturers neither make screens nor touchscreen. Why would they make them in the first place? They expect you to buy their latest brand as soon as your screen gets broken and something like that. People that make screens and other phone parts are just doing there business to helping us and making their money too. I have friends that had this kind of issue and I know how everything went. Let me tell you about my last three encounters. One of my friends fixed her Tecno touchscreen. Although, she was meant to replace the entire screen since they(screen and the touchscreen) are originally glued together. The touchscreen and its sensor worked perfectly within the next 3 days but totally seizes to touch at the upper region of the screen. The other friend also fixed his Samsung S3 touchscreen but the navbar keys (menu, home and back keys) were not working. Lastly, I earlier mentioned about my phone and the scratched touchscreen. I decided to fix it because I couldn’t just spend half of the phone price on screen replacement. My touchscreen is working but sometimes it behaved like it is possessed lol. The touchscreen sometimes seizes and become unresponsive to touch. My temporary solution was either turn off display or restart the phone. To fix broken touchscreen, they scrap off the old touchscreen from the device screen. They use methylated spirit to clean any trace of the glued paste on the screen. By removing the touchscreen off from the screen, there must be some marks and roughness during the process. They now replace it with touchscreen made by one of these companies in China. What you would expect from the touchscreen is of low quality display. If you are replacing the touchscreen for Samsung phone, expect a very poor display. The touchscreen will be fixed back onto your screen like nothing really happened. Depending on the technician that fixed it, you may experience glues on your device outer region, partially tightened phone case – you may see some tiny opening. Which one is the best – Replace touchscreen or replace screen? From our journey so far, you should have seen the pro and cons of replacing the touchscreen. The only pro in fixing the touchscreen is the low cost. There are plenty of disadvantages which you have seen above. If your device is almost old, changing the screen seems to be waste of money, you expect new phone in few time to come then we recommend that you manage with the touchscreen replacement. But! If your device is few months or less than a year, the performance is superb, battery rocks, display is amazing, then spend the cash on screen replacement. Screen replacement is the ultimate choice to revert back to your original screen performance, feel and display.